Holi — the festival of colours is already here. From pichkaris to water balloons, the festival of colours depicts the positive aspects of our life such as joy, love and happiness. However, it is also true that a lot of accidents happen during this time, especially due to over-excitement and carelessness. Hence ensuring the safety of the kids is of utmost importance, in order to keep the mishaps at bay. Here are a few tips for the parents on how to ensure the safety of their children this Holi. 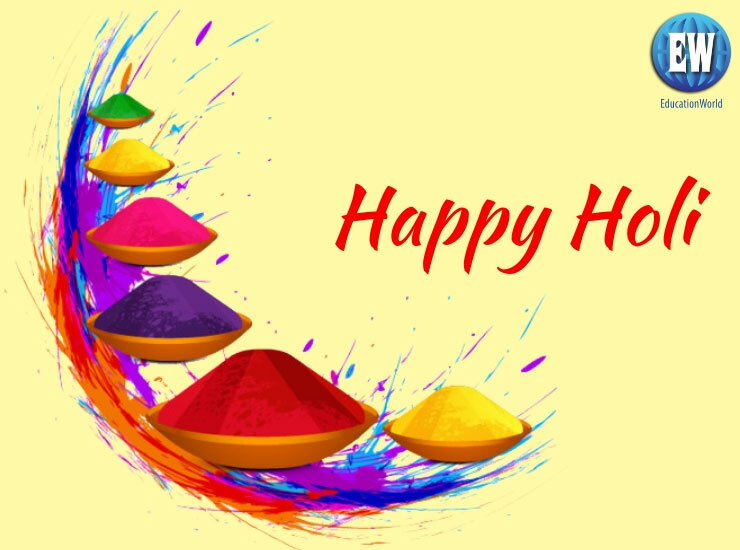 Wish you a happy and safe Holi! Usually children tend to get very excited when they see pichkaris. They tend to splash water from the pichkaris on random people passing by the road. Hence it is very important for the parents to teach their kids the pichkari social etiquette and tell them not to get over excited while playing with it. Strictly warn them to avoid splashing coloured water on random people or strangers. Parents should avoid using toxic colours which contain harmful chemicals that can cause skin allergies or rashes in the kids. There are eco-friendly colours available in the market. Though they are expensive, parents should opt for them. Also, parents can make natural colours at home itself. For instance: Try mixing flour with turmeric or dried henna leaves to get yellow or green color. One can also mix the beetroot with flour and dry it in the sun to get a bright pink color. A day before the Holi the kids should be sternly instructed not to splash the colours on their friends/other people’s eyes, mouth or ears. At the same time the kids should be careful that someone does not do the same to them. Besides this, once the colours are splashed on the face instruct the kids not to lick or swallow the colours. Children love water balloons and they are always fun to play with. However, it can definitely hurt the person at whom the water balloon is being thrown. Further, it may also cause adverse effects on the skin, eyes or ears of the person at whom it is being thrown. Hence it’s best to keep them away from the reach of the kids or better to ban them. The parents should keep an eye on the children’s safety because the kids in their excitement tend to forget the instructions laid out to them. Many a times in apartments or housing societies, the Holi water is stored in the drums. Hence parents must watch the kids when they bend to pick the water. Help them while taking the water from the drum. Chances are there that while the kids attempt to do so, they can fall inside the drum. If the kids are going to play Holi in the play area then the place should be thoroughly inspected a day before and should be kept safe from electronic and power switches. This precaution should be observed to avoid the excessive contact of colours on the skin. Hence parents pick those clothes which can cover more of your kid’s skin. This will also protect them from being tanned. Pick long sleeves T-shirts, pants, pajamas to ensure that the color doesn’t get applied directly to the skin. Also give them caps to protect them from sunrays. Make the kids wear sunglasses, in order to avoid the color getting into their delicate eyes. Also, apply a thick layer of cold cream on the face especially around the eyes so that the colour can be easily washed. Shades are very good form of protection for the eyes and also from sunrays. This is a great way to protect the kids from eye irritation or any other kind of eye-related allergies. Use coconut or olive oil to moisturise the skin of your kids; parents can do it a day early. Also, it is a great idea to apply sunscreen lotion to keep their skin moisturised and protect it from the UV rays of the sun. Oil the girl child’s hair thoroughly the night before Holi and braid it before she leaves to play. There are a few home remedies to remove the colours gently from the skin before giving children a bath. Parents should gently massage the child’s skin with gram flour mixed with curd. Parents can also apply some multani-mitti on the entire face and body of their child. Soap has a drying effect on the skin and hence before giving bath try these remedies. During the Holi parties, it is always wise to keep a list of emergency contacts including those of pediatrician, skin specialist, the nearest hospital and an ambulance service. This is not because there will be an emergency, but it is always wise to be prepared completely.